We’re excited to announce a new partnership between GoTo Malta and Revolut. Starting today, all GoTo registered users can get a Revolut card completely free! Opening an account with Revolut only takes a few minutes, and you can set one up directly from your phone. 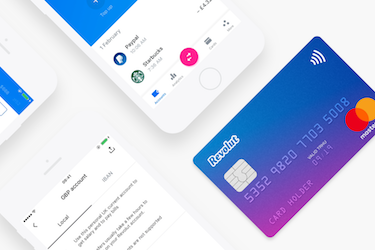 Revolut will show you exactly where your money is going each month, and it even lets you set up monthly budgets for things like restaurants and groceries. Revolut doesn’t believe in financial borders, so it’s only fair that they let you spend abroad in over 150 currencies with the interbank exchange rate, at a small 0.5% fee for anything above €6,000 each month. A flat mark-up on weekends and on certain currencies may apply. From your health to your phone, Revolut will make sure you and the things you love are protected worldwide from as little as €1.00 per day. Take control of your account and turn off things like contactless, payments, and online payments and ATM withdrawals all from within the app. If you lose or misplace your card, freeze it within the app and we’ll have a new one sent out to you. If you find it again, just unfreeze your card from the app. Going through crypto exchanges can be time-consuming and complex, so Revolut has cut out the fat to give you instant exposure to cryptocurrencies at the touch of a button. Instantly exchange any of our 24 currencies directly into Bitcoin, Litecoin, Ethereum, Bitcoin Cash and XRP, and all without breaking a sweat. We are very excited to announce this partnership. All GoTo customers will get a free Revolut Card, usually worth €6. Just enter your phone number to download the app, create an account, top-up at least €10 (that you can later use to spend) and order your free Revolut Card. Note: Offer is applicable for new Revolut users only.